Armored Dragon Head Secrets Box | BUDK.com - Knives & Swords At The Lowest Prices! 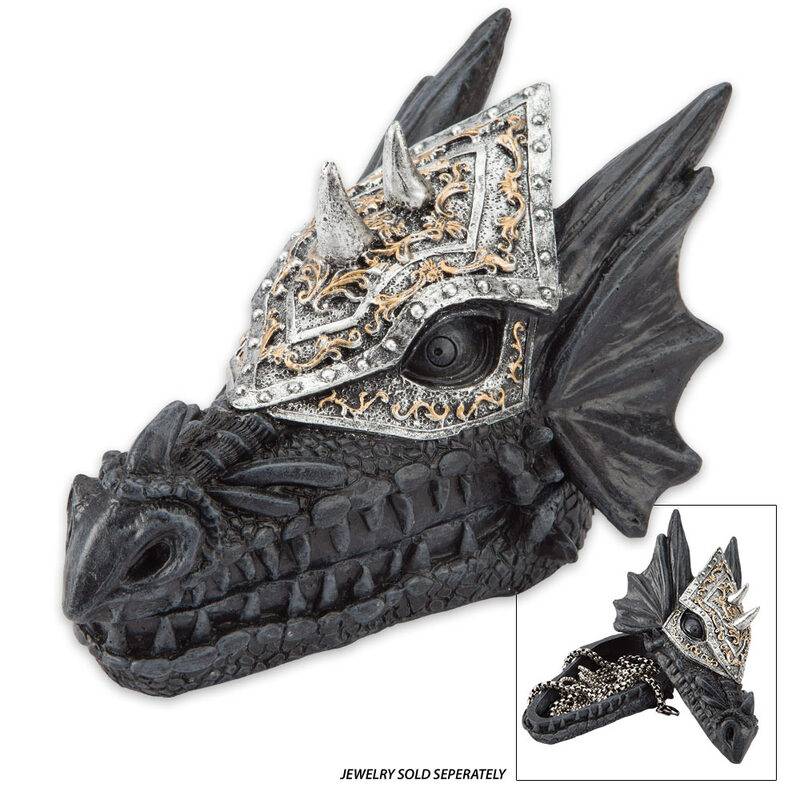 Our fantasy inspired Armored Dragon Head Secrets Box makes an exceptional addition to your castle with its intricate and painstaking details that are almost impossible to believe. 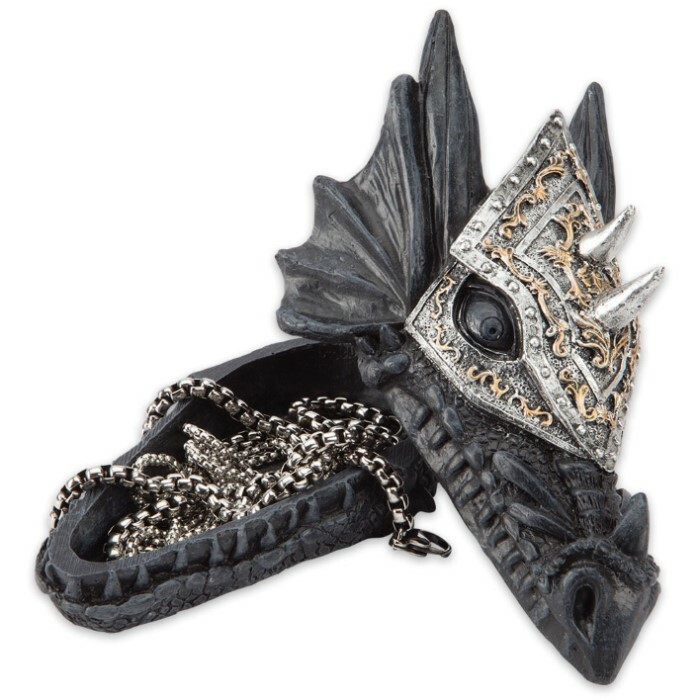 Honestly, no detail was spared in crafting this box to hold your most secret possessions, including the helmet, which looks like actual metal. 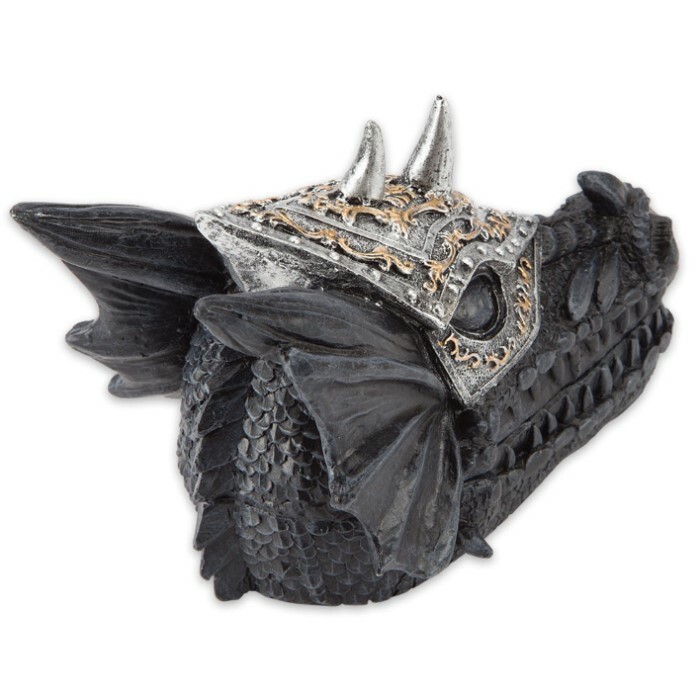 Expertly sculpted in high-quality black resin, this box looks like a fine piece of ironwork cast from the head of a real dragon. Fine quality and original design make our home decor collection stand above all others!